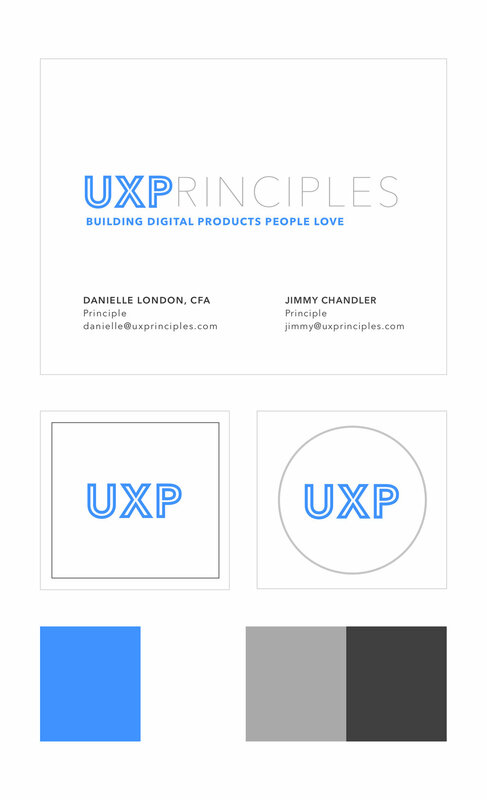 Fellow UX-er Jimmy Chandler, along with co-founder Danielle London, and I worked together to fine tune their logo for UX Principles - a user experience consulting firm. He was set on the basic layout, but wanted a beautiful new font and a solid color palette. We settled on Baron Neue for the typeface to add character to the P. It allows the UXP to stand alone and to be used as an alternate logo. A soft green was chosen as an accent color to subtly appeal to his (mostly) finance crowd to evoke a positive feeling.